First published in 1999, this volume strives to present an integrated account of how failure avoidance may be reduced. 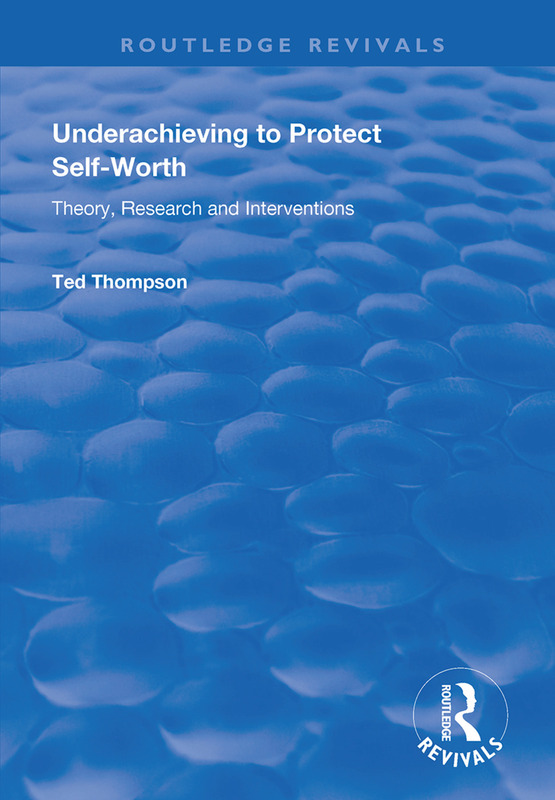 Ted Thompson asks: why is failure so aversive and why do people to almost any lengths to avoid it? This is a book about implications for organising the context of classroom learning: how teachers may interact with students on a one-to-one basis in ways which foster positive achievement gains, strategies for enhancing self-esteem and productive attributions for achievement outcomes. The book also deals with counselling implications and strategies for enhancing student achievement. Finally, practicalities are discussed including steps which may be taken to limit evaluative threat in classrooms, thereby limiting failure-[avoidance and enhancing student achievement.